Summary: The manga medium is a well established 2D narrative art form with distinctive aesthetic. In a recent project we created a virtual reality (VR) experience that immerses the viewer inside of a manga world. 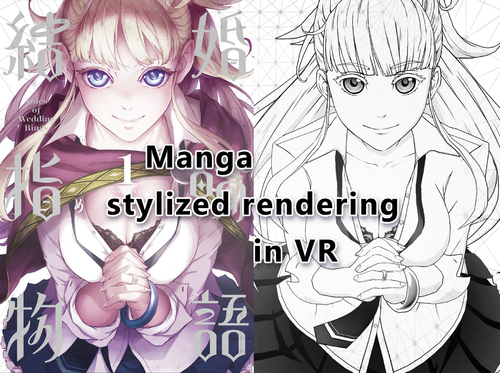 This course presents some of the lessons learned from translating the manga visual experience to VR, all the way from art style to low-level optimization. 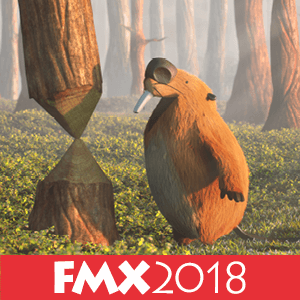 In a first part we will present how we deconstructed the original material to define our visual style, the visual grammar elements that we explored and the techniques used by artists to achieve the desired look. In a second part we will detail the implementation of the non-photorealistic rendering, as well as possible techniques to represent manga frames in VR space. Finally in a third part we will focus on performance, from identifying the causes of issues to implementing solutions to ensure the frame rates required by VR while maintaining as much quality as possible. Julien Guertault has been working as a programmer since 2004 in domains like flight training, video games and virtual reality. He is also active in the digital art culture known as the demoscene, where he focuses on size coding and procedural generation. French born, he studied and graduated in Paris and South Brittany, and worked in France until moving to Tokyo in 2011. He joined Square Enix Co., Ltd. as a graphics engineer in 2015, to help create a manga style rendering in VR. Pavel Martishevsky is a senior graphics engineer in the Advanced Technology Division at Square Enix Co., Ltd. in Tokyo, where he specializes in volumetric rendering, GPU performance optimizations and real-time rendering in general. He joined the company during the development of Final Fantasy XV in 2016 and helped to optimize and improve graphics technology. Before, he worked as a graphics engineer at several Eastern European studios and contracted with EA Canada for a couple of roles. Justin (Wai Keat) Wong has been a CG rigger since 2007, and has worked as a game planner, VR developer and undergraduate instructor. Hailed from a small Southeast Asian country, Malaysia, he started with a focus in CG rigging and Python scripting, later derived towards games production and VR development. His experience and knowledge of game production on both art and technical side has led him to Square Enix Co., Ltd. where he worked as a technical artist to help deliver one-of-its-kind VR manga experience.